At MoneyLedgers, we want you to be 100% satisfied with your purchase. We believe that our software will perform to your expectations, and we stand behind that statement with a money-back guarantee. 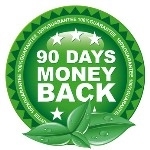 All MoneyLedgers software products are covered by an unconditional 90 day money-back guarantee. If for any reason you are not satisfied with your MoneyLedgers software product in the first 90 days after purchase, please contact us and we will refund your money. We also want you to know that most of our software has product videos and trial versions available. We encourage you to watch the video's and try our software before you buy to make sure it performs to your expectations. And if it doesn't after purchase, you're covered by our unconditional 90 day money-back guarantee. Note: custom designed Excel ledgers are excluded.